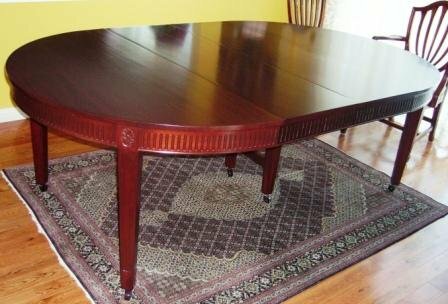 Solid mahogany dining round table, two leaves. 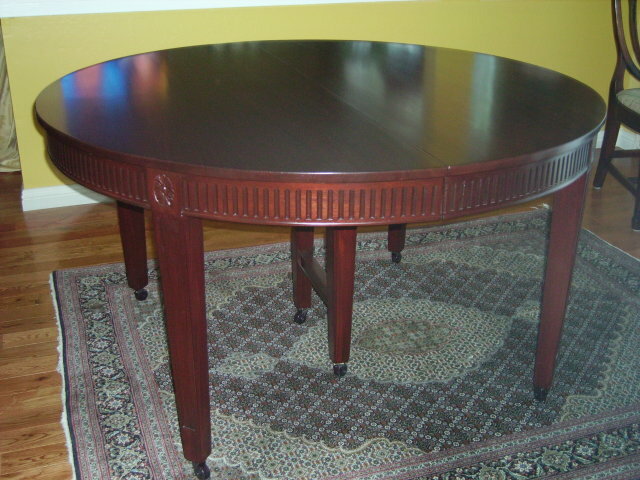 The table measures 54" round and is 30" tall. Each leaf measures 18 wide with apron matching the motif around the table. When both leaves are inserted, the table expands to 82. It can easily accommodate 10 people or 12 if needed. 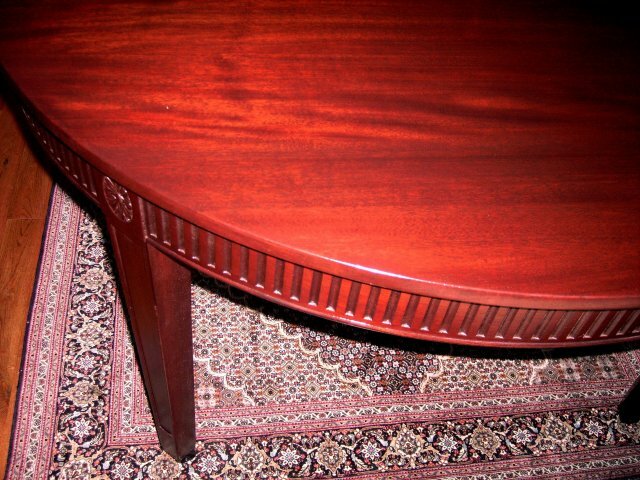 The table has delicate line inlays on the top, sides, the skirt, and along the outside frame of the tapered legs. Notice the extra pair of legs in the middle. These are necessary to provide additional support when the table is fully extended. Structurally sound with no breaks or repairs. The finish is in excellent condition having a warm color and patina. 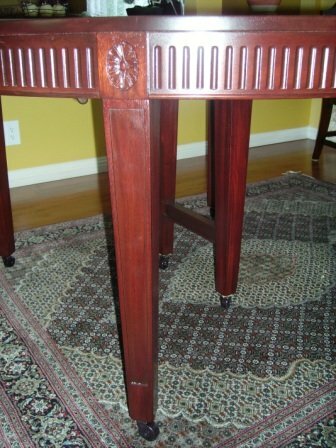 Items Similar To "Hepplewhite Mahogany Table"